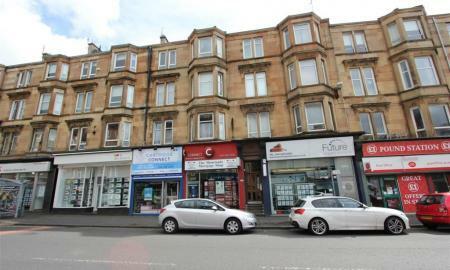 Centrally located in the heart of Shawlands this traditional first floor flat is contained within a blond sandstone building close to all amenities. The accommodation comprises entrance hallway, bay window lounge, internal fitted kitchen, two double bedrooms and bathroom. S/Entry, D/Glazed, GCH. Home Report £135,000.